What does 2019 have in store for medtech? Dave Gray looks ahead. It’s been said many times before that progress is gradual in the medical device sector. Nevertheless, we’re still living and working through a transformative moment in healthcare delivery, where the ageing population, rising costs, obesity, diabetes and cancer are coming together in a critical mass, and blustering the sector’s innovators into action. M&A: is it all just whispers? At the time of writing, there’s not a lot to say with regards to mergers and acquisitions, except that based on the last couple of years, we can expect to see more seismic shifts in the market – but where they will come is anybody’s guess. But, full disclosure, I’m writing this in 2018, trying for once to get ahead. So, by the time this lands early in 2019, Apple, Amazon and Google may well be at the head of the medical device table, with only a couple of hopefuls watching from the sidelines. Only joking. Sort of. That said, there is speculation about some big plays that would seriously rock the boat in 2019 if they ever came into fruition. Probably the most significant here would be those whispers about J&J’s potential interest in either Boston Scientific, or perhaps one of its rivals, Edwards. This story stemmed from a report in US paper Barrons in late summer 2018, which suggested that such a move would come with the aim of making inroads into the field of transcatheter heart valves. But this sort of rumour is rife after a period of aggressive acquisitions from most of the key players – maybe we will see another super takeover in 2019, but for now, it’s merely speculation. One deal that looks a lot more likely to close in 2019 is Boston Scientific’s agreed offer to acquire UK firm BTG – a player in minimally-invasive technologies for oncology. Subject to regulatory approvals, the deal is scheduled to close in the first half of the year. "The acquisition of BTG and its rapidly growing peripheral interventional portfolio is an exciting extension of our category leadership strategy that will augment our capabilities in important areas of unmet need such as cancer and pulmonary embolism," said Mike Mahoney, chairman and chief executive officer, Boston Scientific. "We are confident that the addition of these therapies to our portfolio will ultimately advance patient care in ways that could not be realised by either company alone, while also allowing us to realize substantial revenue and cost synergies and provide a strong return for investors." If you really want to see change happening year-on-year, probably the best way is to attend Compamed and Medica. The last couple of years have definitely demonstrated increased prevalence of miniaturised technologies, driven in part by the wearables and diabetes markets. One innovator in this field is Jaume Palau, creator of sleep apnoea device Airmony. Writing for Med-Tech Innovation News recently, Jaume believes the trend towards miniaturised devices and portability will be most emergent in six key areas: ECG monitors, glucose monitoring systems, blood pressure monitors, continuous positive airway pressure (CPAP) devices, air quality monitors, and massage devices. The trend towards self-care is another factor set to impact manufacturing choices in 2019. Especially in applications for the elderly, disabled, and paediatric care, we’re likely to see more examples of rigid plastic components with soft touch, grippable materials overmoulded on the outside. This trend draws on the principles of human factors design. Where more and more drug delivery or monitoring devices are intended for home use by the patient, designers are choosing outer materials which simple operation. It’s official: smart packaging is here. We’re seeing it in every industry, not just medical, and its emergence goes hand in hand with stricter global regulations on goods and services. Intelligent ink has seen increasing usage in medical applications, but I expect that the coming years will propel advanced printed electronics to the fore of medical device packaging. 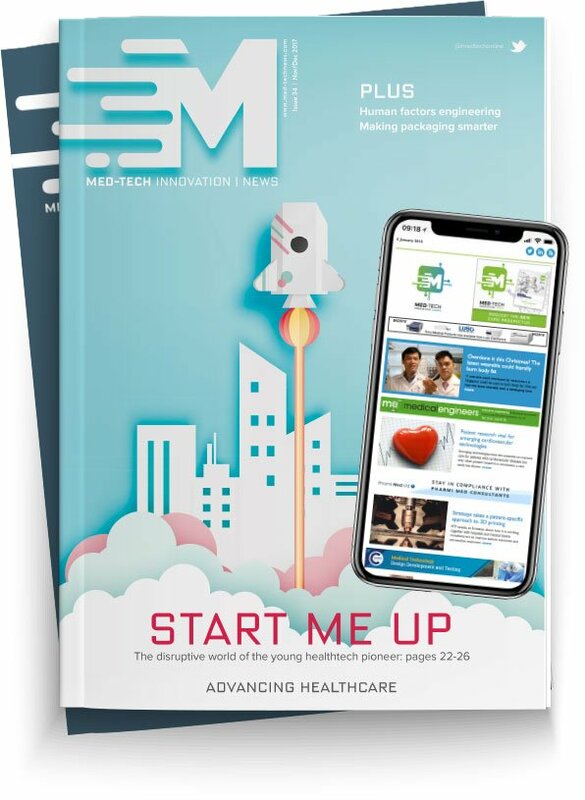 The August Faller Group for example recently announced a prototype of a ‘counting device’ – a folding carton for medicine which uses an e-paper display and electronic controls. The user just has to press a button on the display each time he/she takes a pill, and the packaging can track their dose. Another prototype from the firm, currently just called ‘Medical Prescription’ keeps track of the amount of pills and connects to a smartphone app via bluetooth, which in turn sends the signal to order a repeat prescription. At what point does medical packaging and drug delivery become one and the same? It can’t be far off. The other news, which will be welcome to certain manufacturers, is that the FDA has issued an extension to the compliance deadline for certain aspects of Unique Device Identification (UDI). Manufacturers of certain non-sterile, class I, and unclassified devices will now have until 24thSeptember 2020 to comply with standard date formatting, labelling and Global Unique Device Identification Database (GUDID) data submission requirements. According to Medical Design and Outsourcing, the move was a response to concerns that manufacturers might simply dispose of non-complying inventory rather than undertake costly revisions, thus leading to supply shortages for patients. Femtech is an increasingly prevalent term, but more work is needed to make it a pervasive field within healthcare. Don’t be fooled into thinking that it applies only to ‘female’ health problems either. Femtech encompasses an unbiased approach to medical device design, which I believe we can expect to see more of in 2019. In a recent article, Forbes points out for example that Zimmer Holdings has a gender-specific solution for its high-flex knee prosthetic, the design of which acknowledges the anatomical differences in women’s and men’s knees that need to be catered to while making prosthetics. That said, the last few years have seen a surge of female-led enterprises launching new tech specifically for women’s health, and that trend, too, is set to continue. What’s needed, however, is support from the VC, accelerator and adoption communities. Forbes claims that ‘women’s health accounts for only 4% of the overall funding for research and development for healthcare products and services’ – that cannot be good enough for 50% of the population. Let’s hope that 2019 will bring investment into this vital field. Asia continues to be the land of promise for many Western medtech players. The question is, do we still need to refer to Asia’s territories as ‘emerging markets’? China, in particular, looks set to be centre stage in 2019 as a key prospect. A recent announcement from the Chinese ministry of health stated that the country will issue licenses for 154 new surgical robots by the end of 2020. This news sends a clear message – China wants its healthcare provision to be the best and most innovative it can be. After all, surgical robots are still in their (relative) infancy, and automated procedures are not cheap to perform – particularly in countries with massive populations. But despite the perceived drawbacks of the technology, China’s announcement sent stocks in Intuitive Surgical (the maker of the da Vinci robot assisted surgical system) up by 6.6%. It seems that not only is China continuing to shine in medtech, the country is now targeting the big ticket items – something to consider. There are plenty of reasons to be optimistic about 2019 – not least the unusually fast pace of change in the innovator sphere. And in terms of the calendar, it all kicks off in Anaheim in February, where we’ll be on-site at MD&M West. Then, in May, we look forward to welcoming you to the NEC in Birmingham, UK – the new home of our very own Med-Tech Innovation Expo, which this year promises to be more international than ever.